The Public Guardian arranges for custodial care and administers estates of gravely disabled or other incompetent persons. Personal Property currently for sale | Real Property currently for sale. The goal of the Public Guardian-Conservator’s office is to ensure the safety, both financially and physically, of incompetent and mentally disabled persons, who meet the criteria for conservatorship, as required by law, when there are no viable alternatives to public conservatorship. Probate conservatorship: To qualify for this conservatorship an individual must be unable to provide for his or her personal needs for physical health, food, clothing or shelter; unable to manage his or her own financial resources or resist fraud or undue influence. The initial referral is submitted to, and investigation is completed by, the Public Guardian-Conservator investigator. If a need is determined, the conservatorship petition is filed with the court by Public Guardian-Conservator staff. An individual may also nominate the Public Guardian-Conservator to act as a conservator on his or her behalf. LPS (Lanterman, Petris, Short Act) conservatorship: To qualify for this conservatorship an individual must be gravely disabled. Grave disability is defined as, unable to provide for his or her basic personal needs for food, clothing or shelter, as a result of a mental disorder. The initial referral is submitted to, and the investigation is completed by, the Department of Behavioral Health. If need is determined, the conservatorship petition is filed with the court by the Department of Behavioral Health. Find out more about the function of the Public Guardian and the services they provide. Common questions frequently asked by families and the general public. Find out what kind of real and personal property is available for purchase, and learn how to bid. 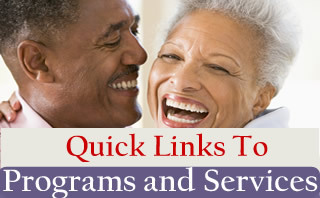 The Department of Aging and Adult Services offer a wide variety of programs designed to help the senior, disabled , and at-risk adults in our county. 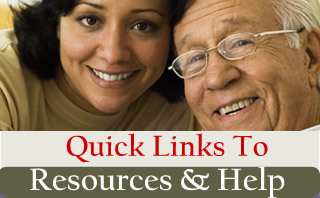 California Department of Insurance is hosting the Senior Gateway website to educate seniors and their advocates and to provide helpful information about how to avoid becoming victims of personal or financial abuse.